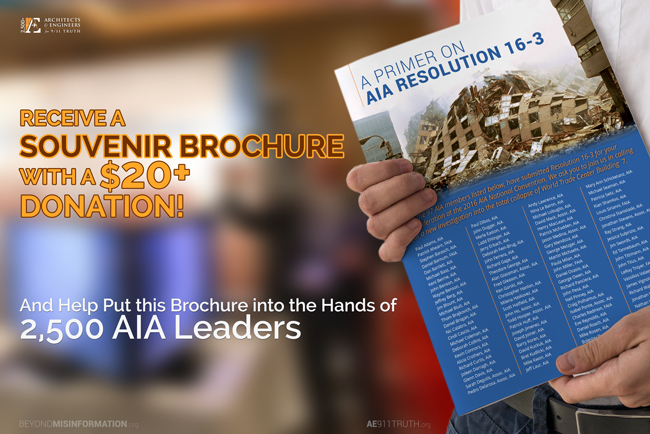 Would you like a copy of our 2016 AIA Brochure? Two days ago, we put in our order for the brochures that we are mailing directly to 2,500 AIA leaders. Most of the folks we're mailing it to will either vote on our resolution on May 21 or be a part of deciding how their local chapter should vote. We’ll also be handing out another 2,500 brochures at the convention. Check out the full contents here. Out of our $20,000 campaign budget — of which we’ve now raised $14,000! 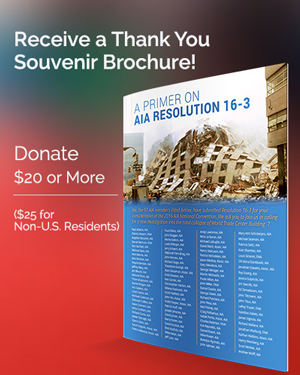 — $3K is going toward printing these 5,000 trifold brochures and mailing half of them to AIA architects all over the country. It’s a very affordable rate that we were able to get only because we’re a 501(c)(3) nonprofit. You can help make this powerful educational opportunity possible by donating toward our 2016 AIA Resolution Campaign if you haven’t already. For all supporters who donate $20 or more ($25 for non-U.S. residents), we’ll thank you by sending you a souvenir copy of the brochure! 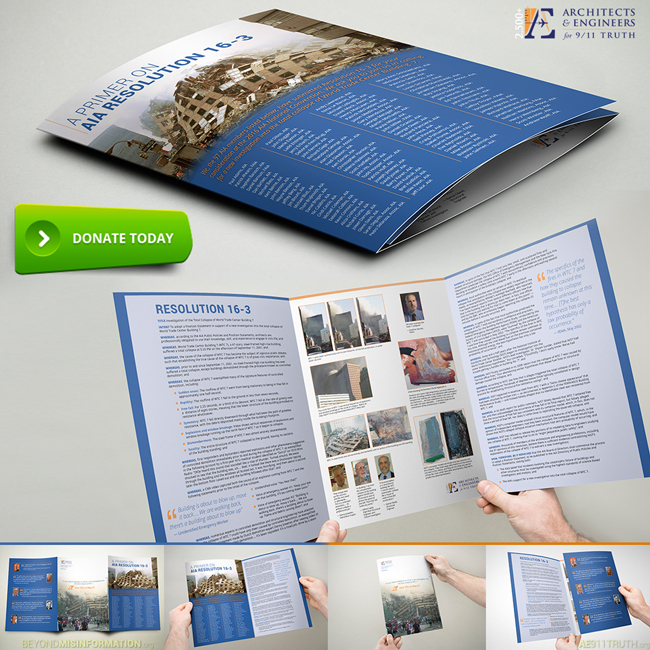 We thank you for enabling us to reach so many architects with this vitally important information.